One of the great things about Delhi is that it's relatively close to the mountains and a number of other diverse tourist places. There's something for everyone, including spirituality, nature, history and entertainment. If you're thinking of getting out of the city and exploring the surrounding area, read on to discover the best day trips to take from Delhi. In addition, if you're in Delhi during the first two weeks of February, definitely don't miss a day trip to Surajkund in Haryana for the annual International Crafts Mela (fair). As well as handicrafts from all over India, there are also performances from folk artists. 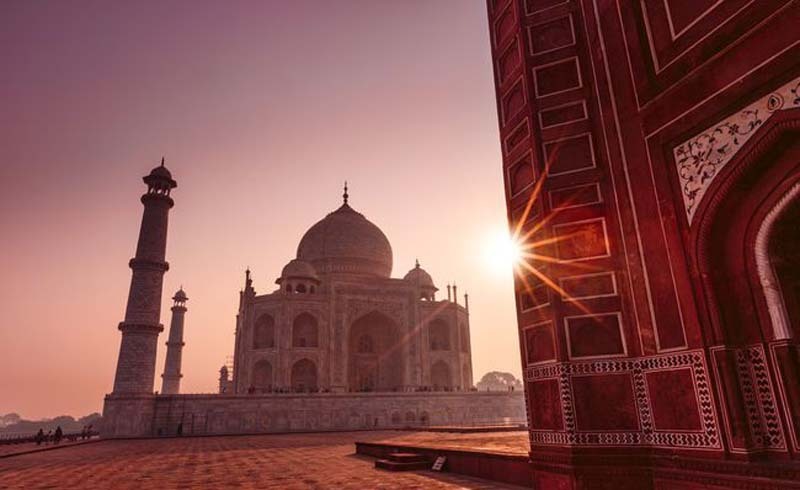 Want to see the Taj Mahal but don't have much time to spare? It can be visited on a day trip from Delhi. 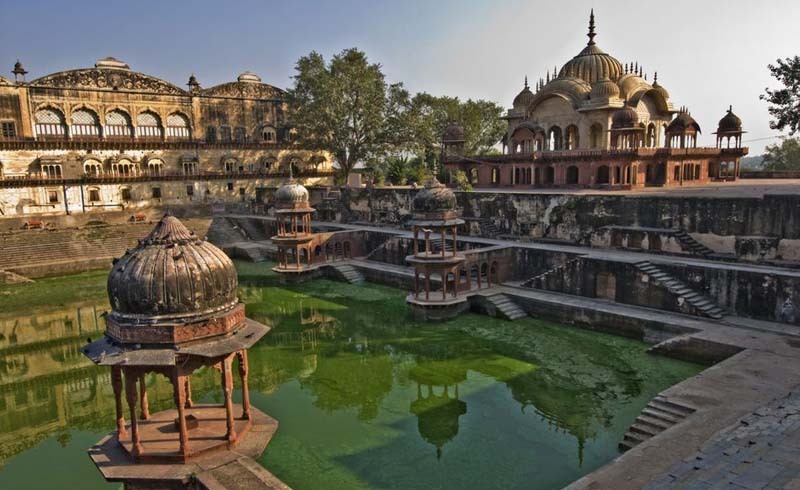 It's also possible to add in Agra Fort (it's more impressive than the Red Fort in Delhi) and the abandoned city of Fatehpur Sikhri for an extra dose of heritage. Taking the train is an inexpensive way of getting from Delhi to Agra, and the journey can be completed in less than two hours if you catch an express train in the morning. Here are the best train options, including for the return journey in the evening. However, if you plan on seeing multiple attractions there, it's more convenient to hire a car and driver. Check out these top places to visit in and around Agra for options. Private day tours by car from Delhi are also popular. There's more information in this essential Taj Mahal travel guide. 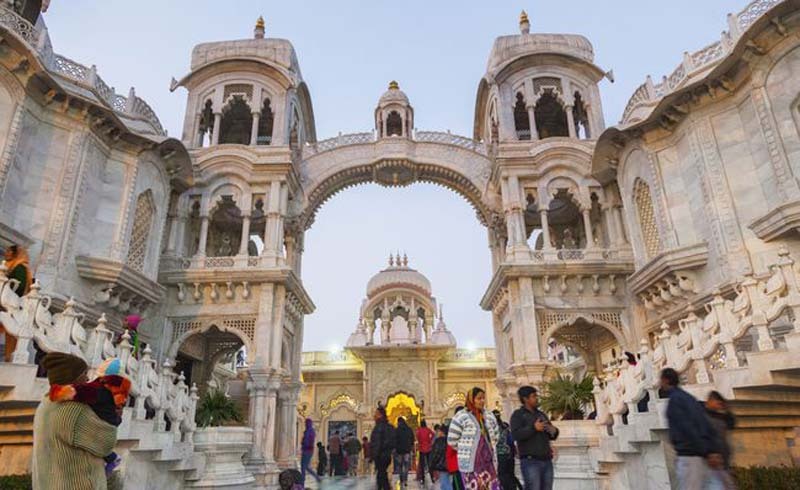 The journey to Vrindavan can be done in under three hours from Delhi, along the Yamuna Expressway. 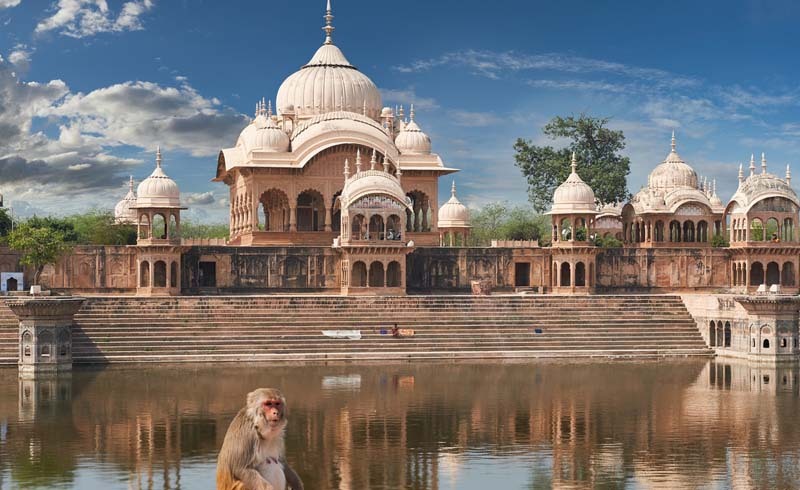 If you hire a car and driver to go to Agra from Delhi, Vrindavan is on the way and can be included as a stop (although you should really spend a day there). This holy destination sits alongside the Yamuna River in Uttar Pradesh, and is where Lord Krishna is said to have spent his childhood and youth. During that time, he slayed demons and embarked on his famous love affair with Radha. Compared to nearby Mathura, where Krishna was born, Vrindavan is relaxed and peaceful. The town has a distinct divinity that will leave you feeling spiritually refreshed. Spend the day meandering through the narrow streets and visiting the thousands of temples, of all different sizes. Later in the afternoon, head to Kesi Ghat for the sunset aarti (worship with fire) ceremony. Hire a boat and go across the river for a magical view of it. If you have time, also visit the complex of abandoned temples 30 minutes away at Kusum Sarovar near Govardhan. Rambling 15th century Neemrana Fort Palace overlooks the historic village of Neemrana, in Rajasthan's Aravalli Hills, about two and a half hours southwest of Delhi on the Delhi-Jaipur Highway. 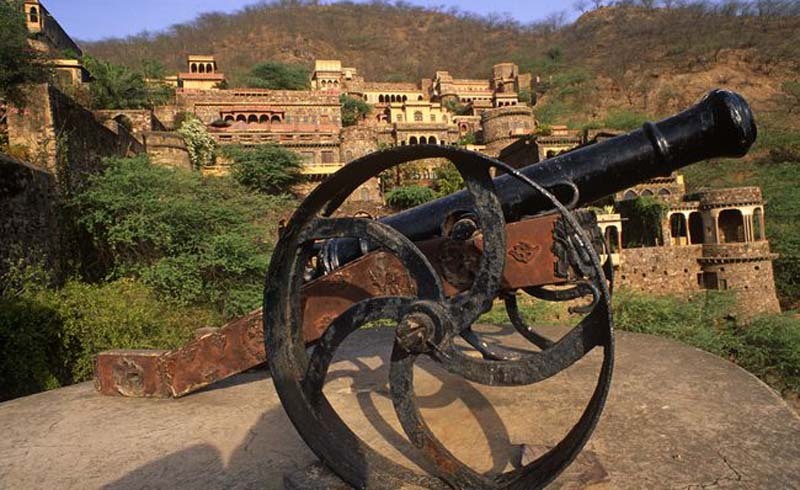 It was the third capital of the descendants of Prithviraj Chauhan III, king of the Rajput Chauhan dynasty. The fort palace was restored in the 1980s and turned into a luxury heritage hotel, popularly visited on a day trip from Delhi for lunch. The cost is 1,600 rupees per person on weekdays (from 9:30 a.m. until 2:30 p.m.) and 1,900 rupees per person on weekends (from 12:30 p.m. until 2:30 p.m.) including entry and buffet. After lunch and a look around the fort palace, if you're feeling adventurous it's possible to go zip-lining over it and the village. Don't want to have lunch at the fort palace? You can get free entry by going zip-lining and booking in advance. Interested in more forts and palaces? 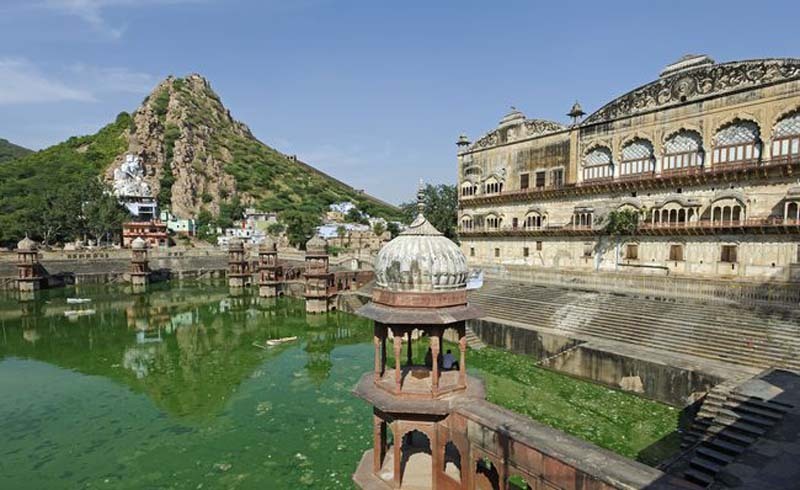 A three-hour drive south of Delhi will get you to Alwar in Rajasthan. There, you can see the 18th century City Palace complex and government museum (closed Fridays) inside it, devoted to showcasing the extravagant lifestyle of the kings. Tucked away behind the City Palace, it's Lake Sagar and the many chhatris (dome-shaped pavilions) that are most visually impressive though. Above the City Palace sits the 16th century Bala Quila, one of the few forts in Rajasthan to be built before the rise of the Mughals. Unfortunately, it's poorly maintained and most parts are inaccessible. If you have time, the Forest Department runs popular jeep safaris to the fort and surrounding leopard trails. 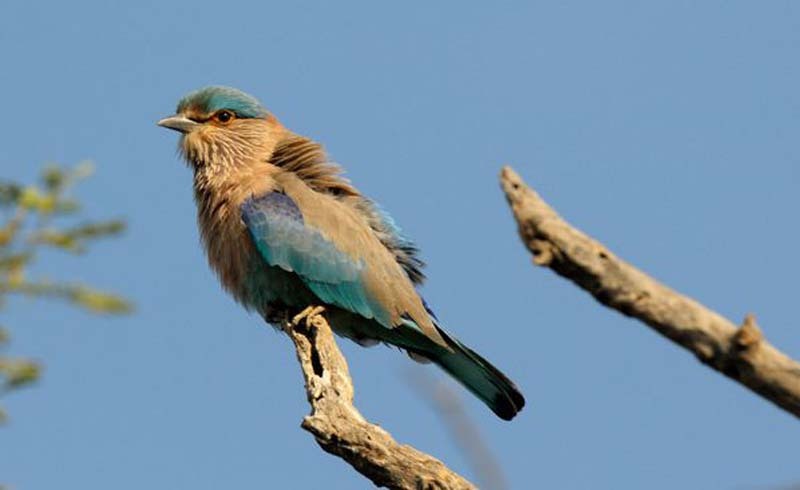 Sultanpur National Park is one of the best sanctuaries in India for bird watching. Although it's not very big in size, it's situated conveniently close to Delhi in the Gurgaon district of Haryana. The drive there only takes about an hour and a half. Hence, if you can't visit Keoladeo Ghana National Park (formerly Bharatpur Bird Sanctuary) in Rajasthan and want to spend some time in nature, Sultanpur is a decent option for a day trip. The park attracts both local and migratory birds, including some all the way from Siberia. It has a tourist center, circular walking trail and four watchtowers. Do note it's closed on Tuesdays, and usually during breeding season from June to August or September. If you like pottery, don't miss taking a day trip to Khurja, about two and a half hours southeast of Delhi in Uttar Pradesh. This small city is renowned for its large-scale ceramic pottery industry with nearly 400 factories, going back more than 600 years. Its original Afghan artisans are believed to have migrated there from Delhi during the reign of Mohamed bin Tughlaq, who was the Sultan of Delhi from 1324 to 1351. 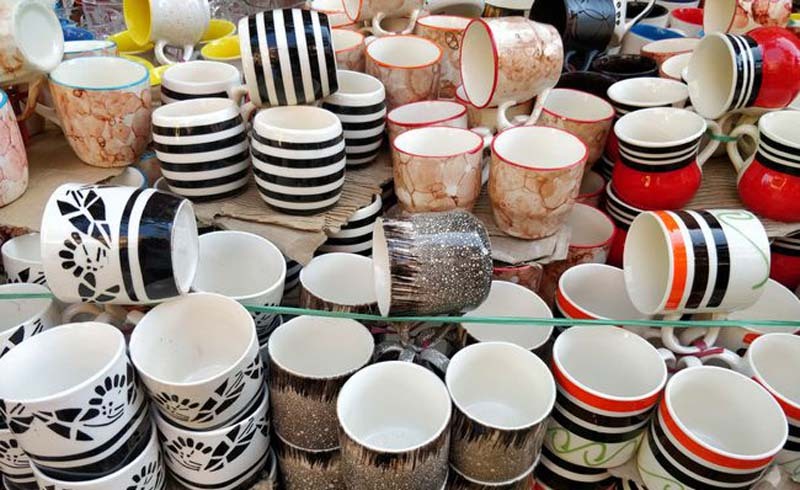 You'll find all kinds of tableware for sale in Khurja, as well as soap dispensers, trays, vases, and planters. Most are hand-painted in bright colors, and unlike the Jaipur blue pottery, they're practical items rather than showpieces. While you can go to Khurja by yourself, to get the most from the trip, it's a good idea to take a private tour such as this one (see #4) offered by Gallery Twentyfive in Delhi. 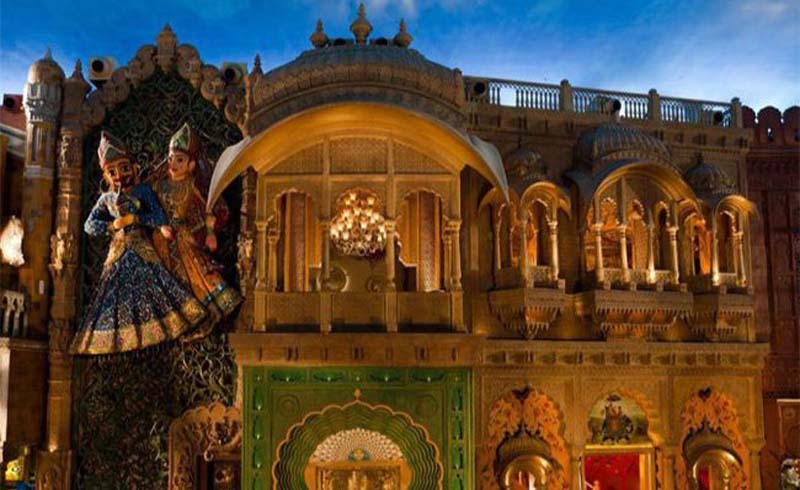 One of the top theme parks in India, Kingdom of Dreams is an outstanding live entertainment destination in Gurgaon, about an hour south of Delhi. It encompasses both Indian culture and the performing arts. Wander through the elaborate arts, crafts, and culinary boulevard that is Culture Gully. Sample food from different states in India. Then, catch a live Bollywood musical. It's open Tuesday to Sunday, from 1 p.m. until 1 a.m. 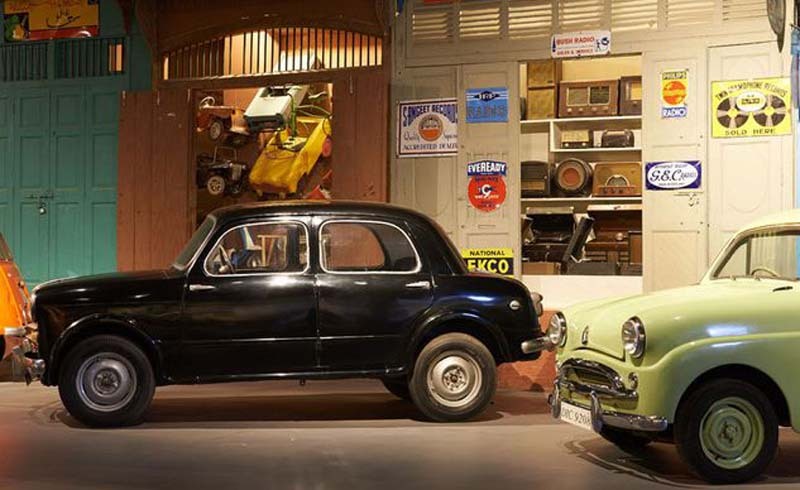 The vibrant Heritage Transport Museums presents the evolution of transport in India, and is one of the top museums that showcase India's heritage. It's a private museum conceived by vintage car collector Tarun Thakral, so a lot of passion has gone into creating it. This is reflected in the exhibits, which even include his own personal collection. The museum is spread over four floors and has all kinds of transport from aircraft to bullock carts — plus some unusual contraptions you've probably never seen before! It's situated in Tauru, near Manesar in Haryana, about two hours south of Delhi on the Delhi-Jaipur Highway. Drop into the luxurious Manesar Heritage Hotel and Spa for lunch. Are you a train enthusiast? Don't miss a day trip aboard India's Steam Express. This historic tourist train takes passengers from Delhi to the Rewari Railway Heritage Museum in Haryana twice a month, from October to April. 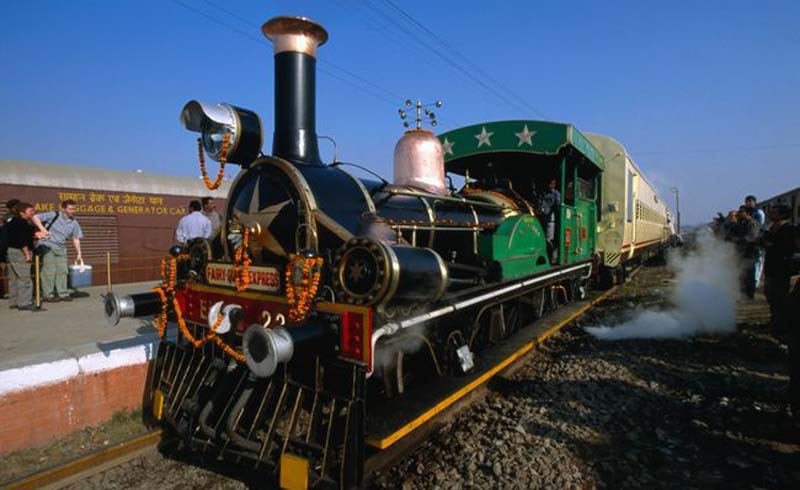 What makes it really special is it's pulled by the "oldest steam locomotive in regular operation in the world". If it's not possible to travel on the train, you can still see the locomotive at the museum, where it's kept when not in service. It's open daily from 9 a.m. to 5 p.m., and entry is free. Rewari is only a couple of hours southwest of Delhi. If you have kids, they'll love a day trip to Pratapgarh Farms on the outskirts of Gurgaon. This popular "urban farm" provides an ethnic village experience with fun activities for the whole family. 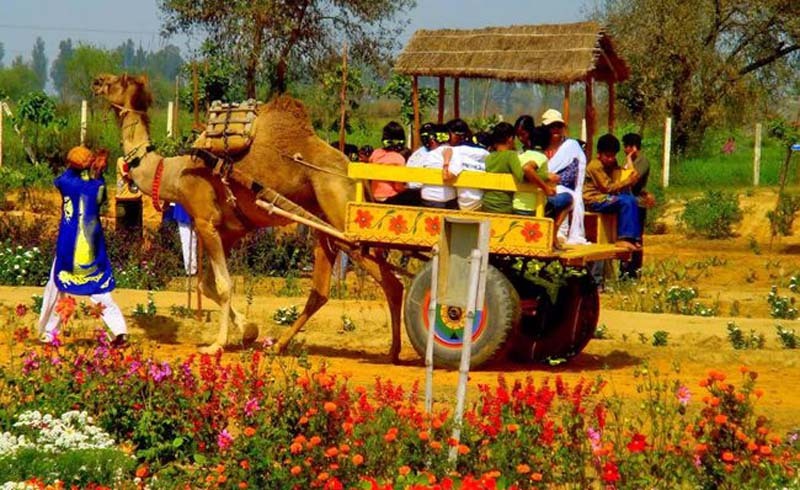 There's pottery, cooking, camel and bullock cart rides, tractor rides, painting, weaving, henna application, head massages, mud baths, plenty of traditional games, animals to play with and tend to, guided farm tours, and unlimited yummy local food. The cost is 1,140 rupees per person for adults and 650 rupees for children, fully inclusive. Thrillophilia offers group tours.